In the realm of watchmaking, Invicta and their range of watches need no introduction. From a high-quality build to attractive model ranges and design, Invicta has been a go-to for a lot of watch enthusiasts. And they have been quite a popular brand of choice in my household as well. In the era of quartz movements, not many brands out there are employing the Swiss movement build when designing their watches. But Invicta holds on to their tradition and manufactures watches steeped in history, and gives them a somewhat modern twist to make them more appealing to the new-age customer base. And being a watchmaker myself, I recognize a quality build when I see one. And this brand is all about giving their customers the best at a very competitive rate. And I am confident that it can be the perfect watch brand for you as well. Where do the Invicta watches fail to impress? 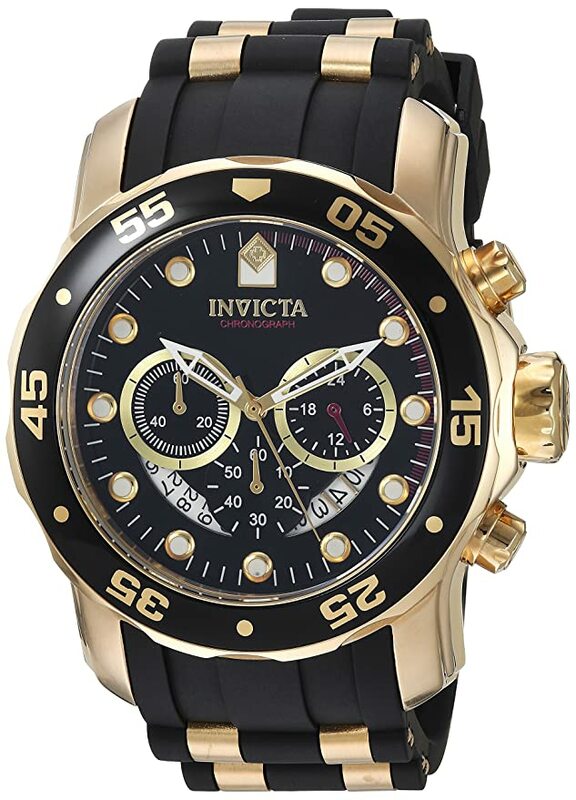 Invicta Watches was founded on the sole purpose of providing each customer with a watch that is not only crafted with the utmost care but made from the highest quality materials as well. Amongst their initial investors, the watchmaking philosophy was quite simple: a crafted timepiece, no matter how well made, need not be expensive. And this is precisely what makes Invicta so very popular today. When I was going through some of the internet surveys about their sales in 2017, I was baffled to find that over 50% of Invicta customers own at least or more than 10 Invicta watches. 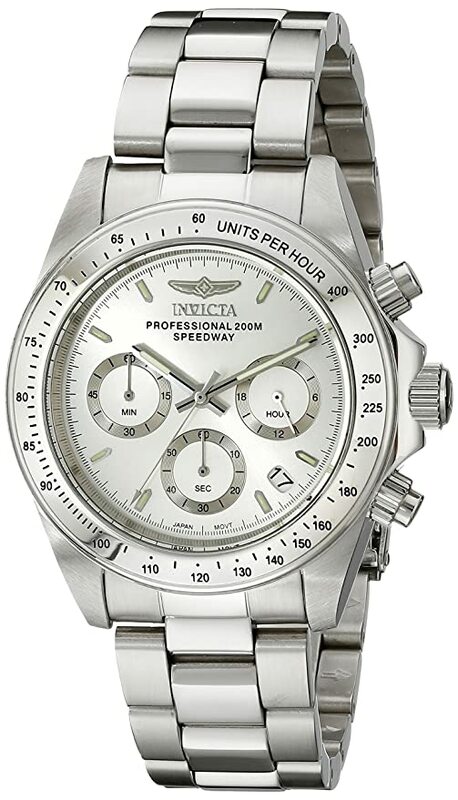 And there are above 100,000 people purchasing an Invicta every 12 months. This mind-blowing stats is all thanks to their watches being affordable and pocket-friendly, along with having a very sophisticated and polished appeal. 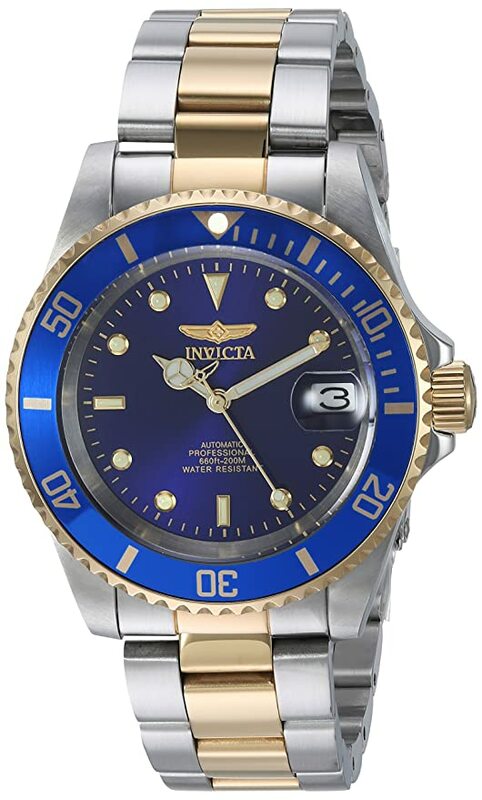 And to top it all off, for their more regular and VIP customers, Invicta allows access to their Collector’s Club offers which give them a chance to get a high impact dive case, or special promotions and discounts. “To be better while still being as affordable as possible” is their key moto and the foundation to a lot of their innovative works. Founded in 1873 in Chaux-de-Fonds, Switzerland by the Picard family, the Invicta brand of watches derives its name from “Invicta” which is the Latin for invincible. Since its conception, it has solely been a family-run business right till the latter half of the 1970’s. Over the years, they had perfected the art of developing Swiss mechanical watches that primarily focused on automatic-winding pieces. But ever since the introduction of the quartz movement, there was a general shift in how watches were made and what they were made into. So, like many other Swiss watch manufacturers, Invicta was almost relegated to the background and became a niche manufacturer for around 20 years. Their revival in the watchmaking industry soon began when a US-based investment company bought it in 1991. But even with the new corporate alignment, they kept their business headquarters in Switzerland, staying true to their founding heritage. And ever since then, Invicta went head to head in sales with a lot of other popular brands like Glycine, Coifman, and TechnoMarine. Apart from their affordability, what uniquely makes the watches of this brand so very popular is how they do not conform to the conventional norms. From their rounded crystal dials to color combinations and gold-layering technique, they are one of the most unconventional watches I have ever seen. Truth be told, for me, the “Made in China” tagline is quite overused. Most of the watches I meet in the market today are either manufactured in a factory in China or some other Asian country. And surely they might boast amazing features at a very low price, but they lack quality, and the watch soon falls apart after a few days of wear and tear. But after using a lot of the Invicta watches myself, I can safely say that such is not the case with this brand. Before the quartz movement, all of their watches were hand-made and sourced out of Switzerland. But after the acquisition, a lot of their focus shifted on cost-saving measures. So, a lot of their watches are outsourced to third parties during the manufacturing process. And though some of the facilities may lie in the APAC region, a majority of them are established in Hollywood and Florida, while some of the models are still handmade in Switzerland. 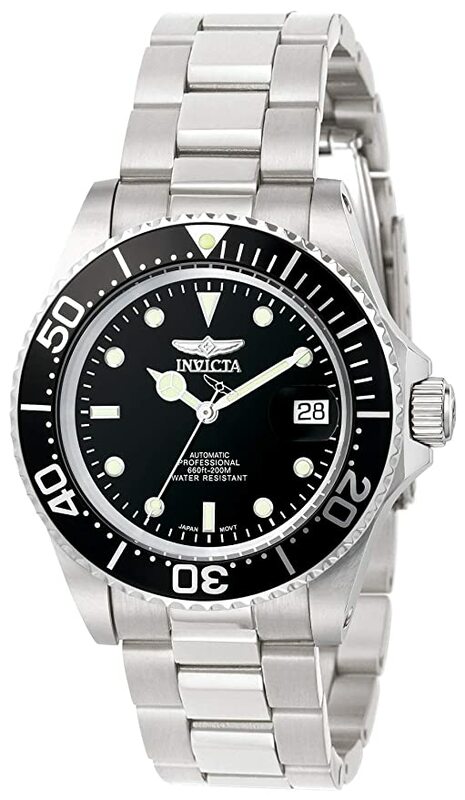 It will be quite an understatement if I call Invicta and their range of watches unconventional, as they go completely against what is considered to be the acceptable norm for watches, which is a quartz movement based mechanism. Invicta keeps themselves a class apart from the rest of the competition by making their models entirely based on Swiss movements along with some unique micro techniques to give their watches an edge. And much of their catalog is dominated by two of their best selling series: the Pro Diver series and the Lupah series. The Pro Diver series is the more traditional model range out of the two. The series bases a lot of its designs on some Omega and Rolex models, which gives it a rather elegant, yet sporty look. My wife is an avid fan of deep sea fishing and scuba diving, and the Pro Diver series comes with extreme water resistance features and an amazing “water-wear” experience. This is why this series is her absolute favorite. Not only does it give divers critical information about water depth but it is elegant enough to be ideal for professional settings as well. The Lupah series, on the other hand, is the one that my son prefers. This series lists models that have a slightly funky and new-age look, and is also uniquely marketed to appeal to Millenials and a majority of the young professionals who are looking for a new and hip style. And what makes this series so very unusual is that it allows customers to customize their own watch. From the color of the dial to the shape and the type of preferred strap, my son was able to choose from over 200,000 different combinations of style. 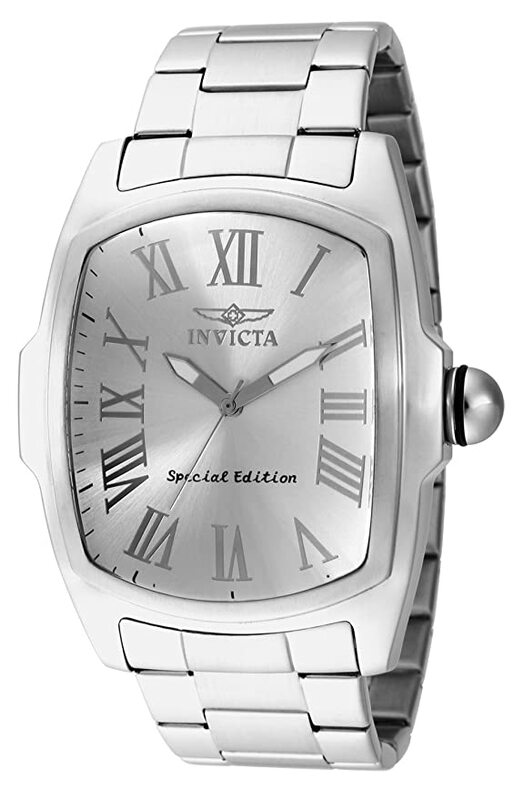 Warranty and customer service are other aspects that the Invicta excels at compared to a majority of its competition. 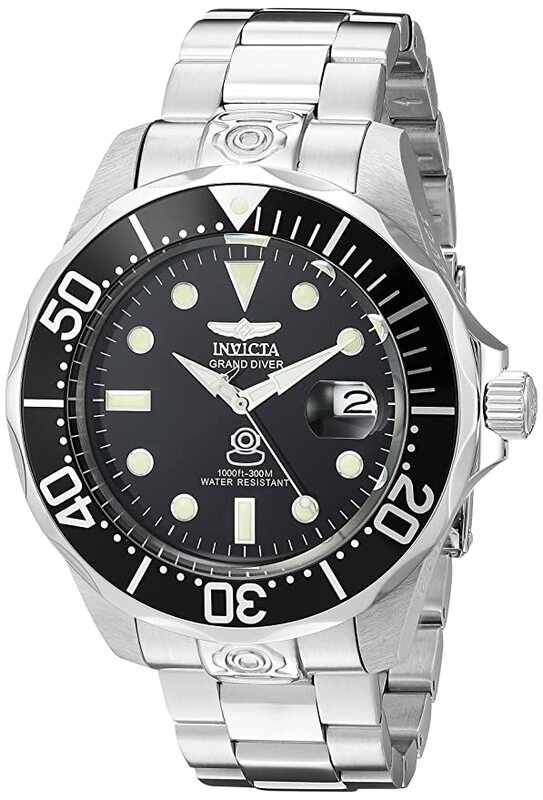 All of the Invicta watches come with a 5-year warranty that primarily covers repairs and replacement when there is an issue with the watch’s movement, which can be a manufacturing defect or a complete breakdown. Damage to the crown of the watch. The repair will be covered only if the watch is within the warranty period. Some defects with the markers and the second’s and minute’s hands. Physical damage to the dial. The watch stops functioning when dipped in water. Defect with its water resistance. Flame Fusion crystal develops scratches. Scratches and damages from the user’s wear and tear are not covered by the warranty, neither are the watchbands and the case that it comes in. Requesting a repair or a replacement is quite convenient as well. When I went to repair one of mine, all I did was hop in at the nearest authorized store or repair site with my receipt and warranty card. Their service was very helpful and earnest, and they told me that my watch was being sent to the master craftsman for repair and that I should get it back within 90 days, which I did. Even with their amazing affordability and extremely high-grade design, one of the significant drawbacks of Invicta is that they are known for providing more care and detail to their larger designs. And for all willing customers, I would recommend that they go for the larger-watches as they are guaranteed to operate more reliably. I even felt that the 90-day repair time was rather too long. Yes my watch was being sent to a master craftsman for repair, and it’s in the best of care, but I felt that the 90-day time span is slightly too long for a watch repair. And lastly, there is one small complaint (not a deal breaker by any means) that my son had about the Lupah series is that the watches with the larger dial tend to be heavier on the wrist. It can be more than a pound in weight while sitting on the wrist, and excess perspiration can lead to rubber injuries. The Invicta watches are all about being able to experience the joy of owning a premium watch without having to put a hole through one’s pocket or savings. With entry-level pricing on their models and year-round discounts, they have been a go-to for many customers. Hope you enjoyed my review today and are excited to buy your first Invicta piece. This is Raymond, signing off!